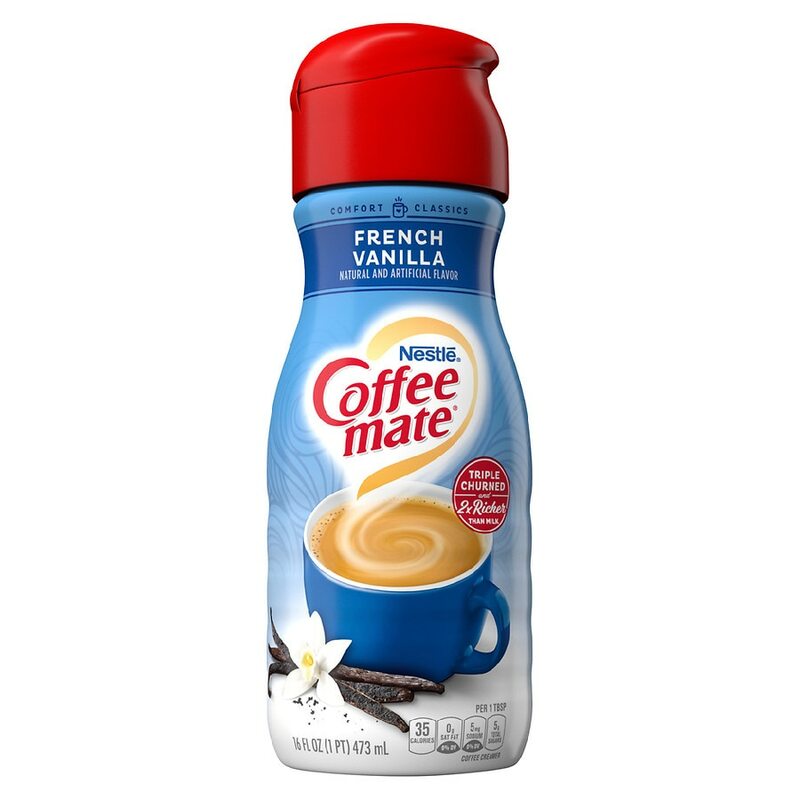 Coffeemate French Vanilla flavor coffee creamer is the perfect way to create a delicious cup of creamy vanilla perfection. This perennial favorite blends rich creamer with just the right amount of bright vanilla notes for a taste that’s simply beyond compare. Stir in the creamy goodness of French Vanilla anytime for a smooth, sweet sip that’s lactose-free and cholesterol free. With Coffeemate non-dairy creamer, you create your perfect cup every time by adding just the right amount of flavor – morning, noon or night. Whether you’re sharing with a friend or taking a moment to recharge, the rich, creamy taste of Coffeemate French Vanilla is the perfect flavor to wake up your cup. Shake before use. Do not freeze. Keep refrigerated. For best quality, use within 14 days of opening. ©Societe des Produits Nestle S.A., Vevey, Switzerland.